Lindsey Lawson specializes in acupuncture for women’s health issues including fertility, pregnancy and post-postpartum care. She treats kids from infancy through puberty. Other specialties include pain and musculoskeletal issues, injury from car accidents, endocrine imbalances and trauma. She uses acupuncture, Chinese herbal medicine, Oriental bodywork, Infrared and Cold laser therapy, cleansing treatments and Shamanic healing. 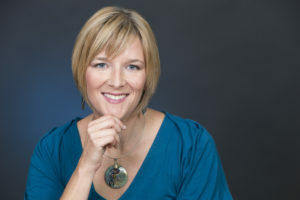 Read more about her specialty in fertility at www.fertilityacupuncturistseattle.com. Treatments focus both on relieving symptoms, as well as healing illness from its root. She believes that Eastern medicine and Western medicine are looking at the same problem from two different angles, and are invaluable when used together to create a more complete picture. She seeks to educate her patients on ways to live a harmonious life through small lifestyle changes, exercise and diet. The ultimate goal is to prevent illness. She has designed two diet programs, the Elemental Detox and Fertile Glow Diet. Education: Masters in Acupuncture and Oriental Medicine 1999, Bastyr University, Seattle. Advanced Herbal Training in Women’s Health, Chengdu University, China. Advanced Herbal Training in Traumatology at Shanghai University. Trained in Fertility with Dr. Jane Lyttleton, Dr. Randine Lewis, and Dr. Paul Magerelli. Trained in Pregnancy and Postpartum care with Cindy Micleu. Trained in Shamanic Healing, Certificate in Acutonics. Lindsey is dedicated to community and is a co-owner of Glow. Lindsey’s other passions include cooking and functional food, cross training, traveling, gardening, reading, writing, art, and spending time with her son and husband in their Seattle home.